ASUS VG279Q Review 2019: Why This Gaming Monitor Is So GOOD! The ASUS VG279Q is the first 1080p 144Hz gaming monitor available with an IPS panel. Until now, if you wanted a 24″ or a 27″ 16:9 gaming monitor with both 1080p and 144Hz, you could only pick between TN and VA panel variants. The IPS-panel ASUS VG279Q provides you with significantly better colors and viewing angles than TN versions as well as with no ghosting issues associated with VA models. 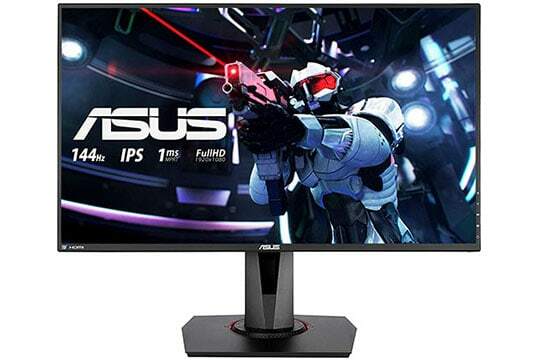 The ASUS VG279Q 27″ 1080p 144Hz gaming monitor is based on a brand-new IPS panel by AU Optronics with a 400-nit peak brightness and a 3ms (GtG) response time speed. This is a slight but notable improvement over the previous generation IPS displays of this caliber which have a peak brightness of 300-350 nits and a GtG (Gray to Gray pixel transition) response time of 4-5ms. Other panel related specs are standard including a 1,000:1 static contrast ratio and 8-bit (6-bit + 2-bit FRC) color depth covering the standard sRGB color gamut. The only thing we don’t like about the ASUS VG279Q is its low pixel density due to the rather low 1080p resolution for its 27″ screen. This means that the picture is somewhat pixelated on this display whereas a 24″ or 25″ version of the monitor would have sharper and clearer details. In video games, this isn’t as noticeable, especially if you apply some anti-aliasing effects. But if you intend on using the ASUS VG279Q for work as well, you will have to cope with limited screen space and smudgy details. The 3ms (GtG) response time speed is more than enough for a smooth fast-paced gaming experience without prominent ghosting and motion blur. Basically, you get a response time performance that’s on par with TN models in addition to having vibrant colors and wide viewing angles of 178 degrees horizontally and vertically. Moreover, you can get a CRT-like motion clarity by using the exclusive ASUS Extreme Low Motion Blur (ELMB) backlight strobing technology. In order to enable it, you will have to set your refresh rate to either 85Hz, 100Hz, or 120Hz. 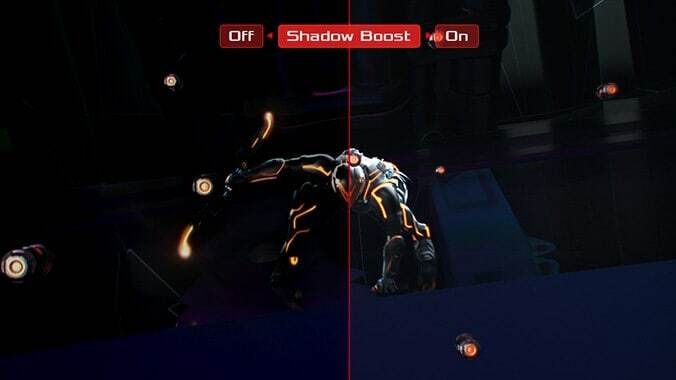 The ASUS VG279Q input lag performance is very good as well amounting to around 8ms which makes the monitor easily fit for professional competitive gaming. Lastly, the monitor has no issues concerning visual artifacts, dead pixels, nor excessive backlight bleeding. Some minor IPS glow is present which is expected from IPS panels and entirely tolerable/manageable. 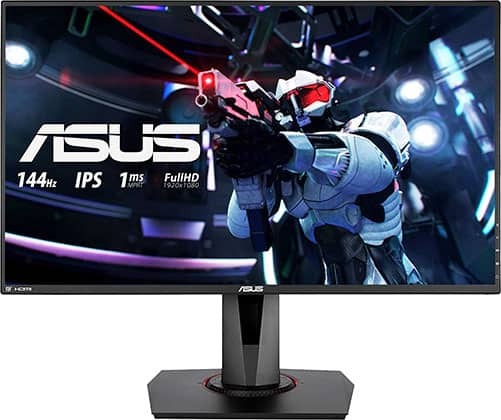 The ASUS VG279Q 1080 144Hz IPS monitor is also equipped with AMD FreeSync/Adaptive-Sync support which allows the monitor to change its refresh rate dynamically thus eliminating all screen tearing and stuttering with basically no input lag cost. This technology requires an AMD FreeSync-compatible graphics card and it works within 40-144Hz/FPS (Frames Per Second) variable refresh rate range (VRR). The adaptive-sync also works with NVIDIA 1000 series and 2000 series GPUs (and newer) without any issues on this monitor. Additionally, LFC (Low Framerate Compensation) is supported which will ensure a smooth performance even south of 40 frames per second. Keep in mind that Adaptive-Sync and 1ms MPRT cannot work simultaneously. 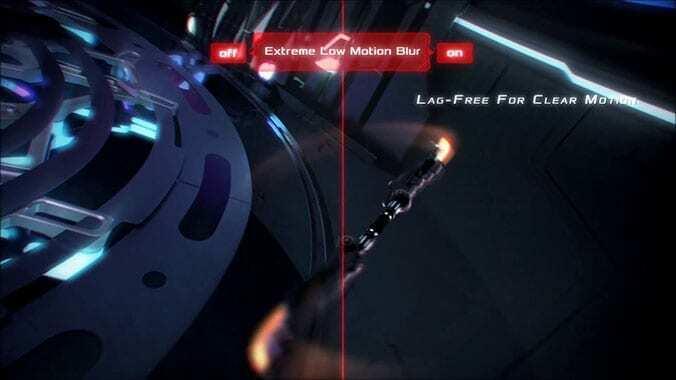 Other features include the standard bells and whistles found on ASUS gaming displays such as GamePlus (crosshairs, timers, and an FPS counter), GameVisual (FPS, RTS, Racing, RPG, MOBA, sRGB, Cinema, Scenery picture presets), and Shadow Boost for better visibility of objects in dark areas of games. While the ASUS VG279Q 1080p display has a flicker-free backlight (unless you enable 1ms MPRT) and an integrated low-blue light filter, we noticed that gamma presets and color hue settings are missing in the OSD (On-Screen Display) menu. Moving on, the ASUS VG279Q monitor boasts a fully ergonomic design with up to 130mm height adjustment, 90° clockwise and counterclockwise pivot, +/- 90° swivel to the left and right, -5°/33° tilt, and 100 x 100mm VESA mount pattern. Moreover, it’s got an anti-glare matte 3H screen coating for minimal reflections as well as ultra-thin 10mm matte black bezels. Connectivity includes a Dual-Link DVI-D (for 144Hz and ELMB), a DisplayPort 1.2a (for 144Hz, ELMB, and Adaptive-Sync), an HDMI 1.4a (FreeSync over HDMI up to 120Hz), a headphones jack, and two 2W integrated speakers. The ASUS VG279Q price amounts to around $330 which is reasonable considering its price and features. 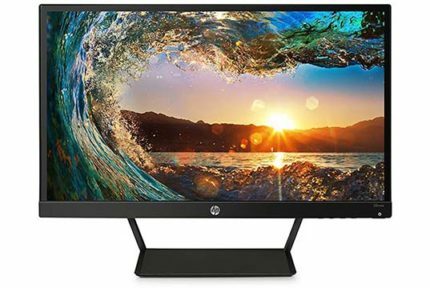 However, if you’re looking for something similar but more affordable, check out the AOC C24G1 and C27G1 models with curved VA-panel 1080p 144Hz 1ms (MPRT) screens. These are less expensive, offer higher contrast, but also have more ghosting in fast-paced games. There’s also the Acer VG271 which is based on the same panel and offers the same features as the ASUS VG279Q plus entry-level HDR support, but it has a tilt-only stand. It’s also slightly cheaper. 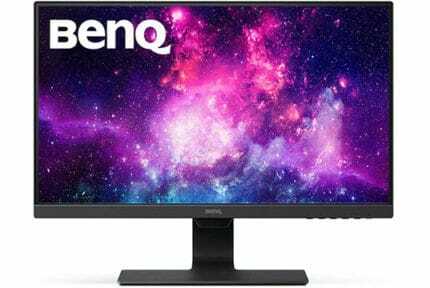 In case you can afford something pricier, check out the Nixeus EDG27S v2 which is an excellent 27″ 1440p 144Hz IPS gaming monitor. Though many will find 1080p simply too low for a 27″ screen, the ASUS VG279Q is definitely a step in the right direction as gamers who are limited to 1080p and 144Hz will now finally be able to opt for an IPS version. Hopefully, we will also see similar models in the future with smaller 24″-25″ screens as well as with G-SYNC modules. The ASUS VG279Q is a gaming monitor many have been waiting for. 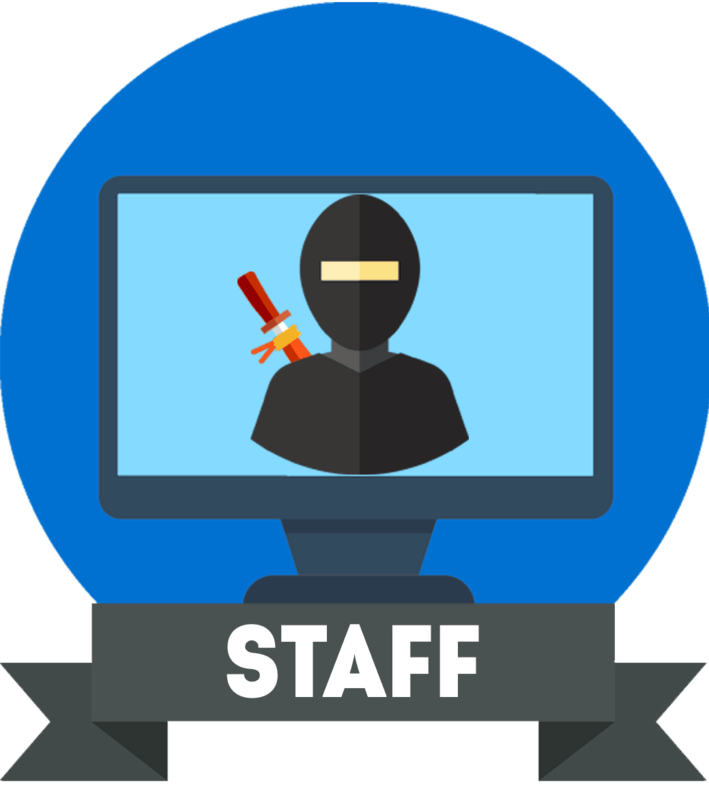 It combines vibrant colors and wide viewing angles with a quick response time speed. Plus, it offers plenty of useful gaming features as well as a fully ergonomic design at a reasonable price.